Sydney Harbour Bridge is considered as an iconic image of Sydney. People love to take pictures around the bridge. You can spot the dramatic view from the bridge. The location of this bridge is near Sydney Opera House. The inhabitants of Sydney call it The Bridge. Others call it The Coathanger. It earns the nickname due to the arch design of the bridge. Sydney Harbour Bridge was made based on the direction of Dr J.J.C. Bradfield of the NSW Department of Public Works. British firm Dorman Long and Co Ltd of Middlesbrough designed and built the bridge. In 1932, Sydney Harbour Bridge was opened. Hell Gate Bridge in New York City inspired the design of Sydney Harbour Bridge. The bridge is measured from the top to the water level at 440 feet or 134 meter. It takes the record as the tallest steel arch bridge in the world. Talking about the length, it takes the sixth place of the longest spanning arch bridge. Another record taken by Sydney Harbour Bridge was related to the width. It earned the title as the widest long span bridge in the world at 160 feet or 48.8 meter. However, the record is surpassed by Port Mann Bridge in Vancouver. Find facts about Stone Castles here. 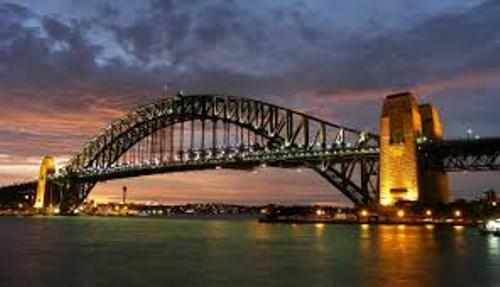 Sydney Harbour Bridge attracts many tourists in the world since its first construction. It is still considered as an important destination for the local and international visitors. In 1982, 50th Anniversary celebration of Sydney Harbour Bridge was conducted. The representative of Dorman Long attended the celebrations was Edward Judge. Since 1993 until today, Sydney Harbour Bridge has hosted the Sydney New Year’s Eve celebration. The firework display usually takes place at 9 pm. Get facts about St Peter’s Basilica here. 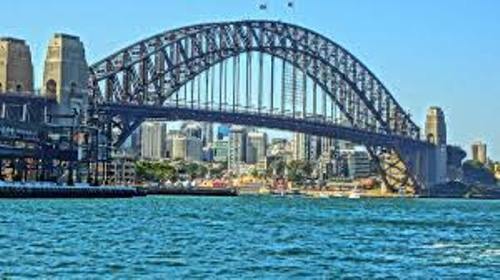 What do you think on facts about Sydney Harbour Bridge?